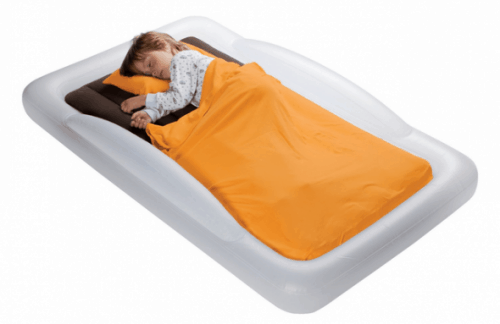 The Shrunks Tuckaire Toddler Inflatable Travel Bed is on sale for $50.99 at Amazon right now. That's 36% off the list price of $79.99! More Shrunks deals . . . The Shrunks Toddler Airbed Cover is on sale for $19.58. That's 22% off the list price of $24.95! The Shrunks Sleepover Kid's Travel Bed is on sale for $69.99. That's 30% off the list price of $99.99!